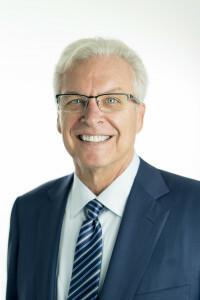 Buddy Levy graduated from the University of Texas School of Law, has been practicing law since 1974 and is licensed in the States of Florida and Texas. He is a General Member of the International Masters of Gaming Law whose members include internationally selected attorneys specializing in a gaming practice, regulators and other persons engaged in gaming at a high level. For most of Buddy’s career his practice has concentrated on both transactional and gaming matters and for more than half that time he has served in the position of General Counsel for different companies. One such company was involved in Native American Gaming in a major way and, as a result, Buddy has been involved in both the legal and operational side of Native American Gaming since 1979. The company built and operated multiple Tribally-Owned Casinos in all areas of the United States. Today, he combines a transactional legal practice, including a General Counsel position, with that of his private gaming practice representing primarily foreign entities desiring entry into the United States gambling market through Tribally-Owned Casinos. The regulatory requirements of Indian Gaming are complicated, the required procedures are detailed and constantly changing, the list of persons to know and work with is long and the details and customs of dealing with Native American Tribes and Tribally-Owned Casinos is complex. To successfully do business with Tribally-Owned Casinos it is necessary to have the assistance of someone who understands and is completely familiar with the requirements of Tribally-Owned Casinos and the Tribes who own them. Having been active in Indian Gaming since 1979, Buddy is in a unique position to provide the services required and necessary for admission to this profitable arena. As your company may not be located in the United States, Buddy will work as your representative “on the ground” to provide all assistance and counseling necessary to accomplish your gaming goals within Indian Country. If you are interested in securing Buddy’s services or discussing how Buddy may become a valuable part of your team, please use the contact information provided. If your company decides to retain Buddy, you will be provided with a detailed, customized contract specifying fees and services to be performed. You may be assured of prompt and accurate services designed to fit the needs and goals of your company in doing business within Indian Country.